– Geographical content is provided by separate pages for each state. Today our html5 interactive map allows the visitors of this site to easily find all necessary information about each company branch in all USA states. This map can work with iPhone and iPad or any modern Android mobile device so the interconnection has been achieved. 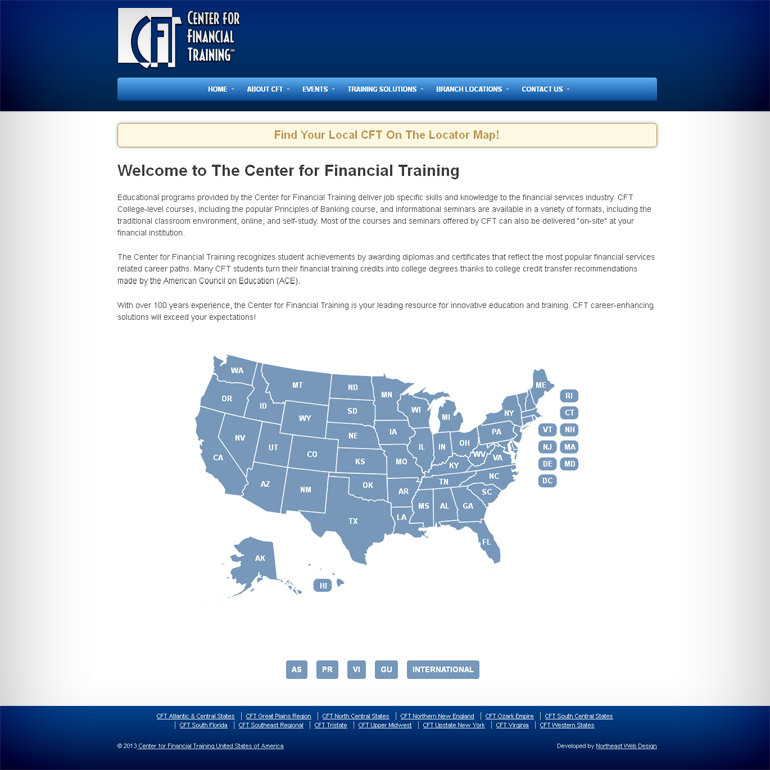 Center of Financial Training is a large educational company which provides many financial educational courses for its students. This company works almost 100 years and become one of the most popular educational center in USA and beyond.